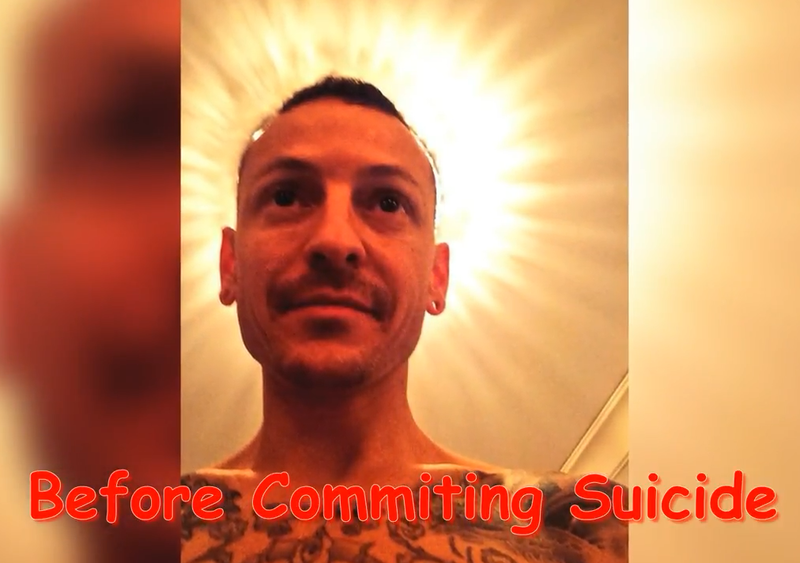 Another musician has committed suicide by hanging. 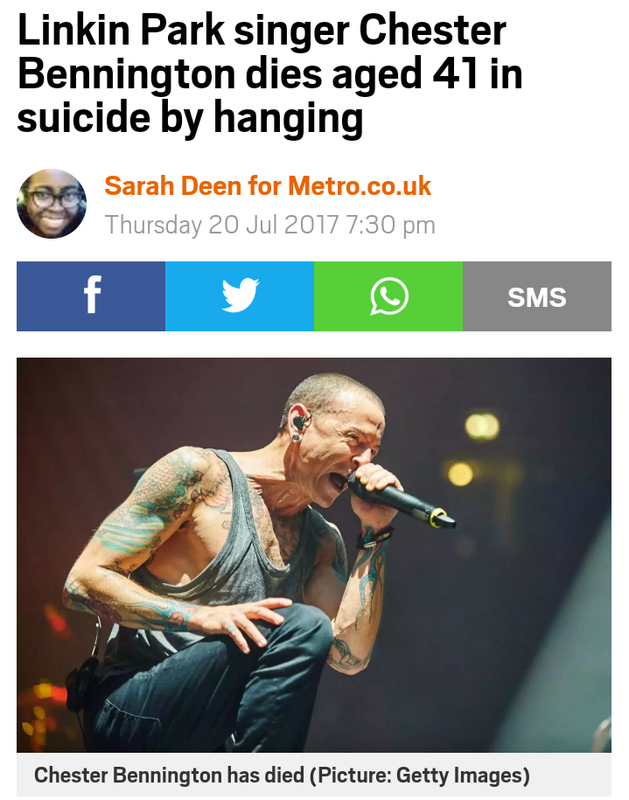 Chester Bennington from Linkin Park was found dead this morning by hanging himself. He was also currently in a band with someone I grew up with. 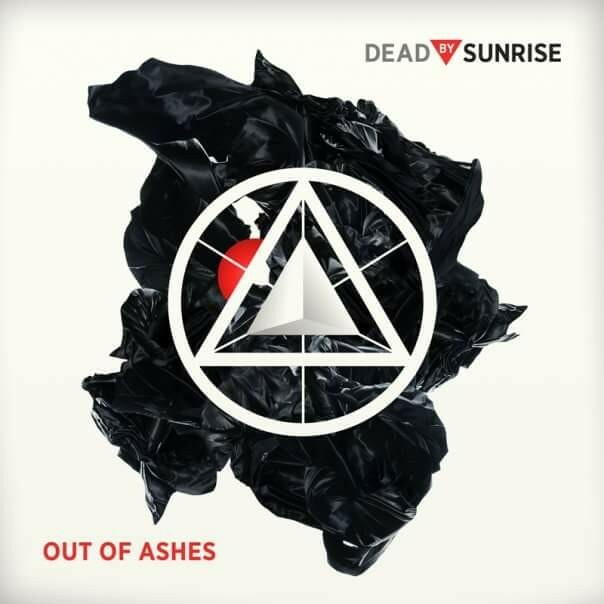 The band was called Dead By Sunrise (the irony may not be lost here). He was found at 8:59 am Pacific time in his Palos Verdes home. 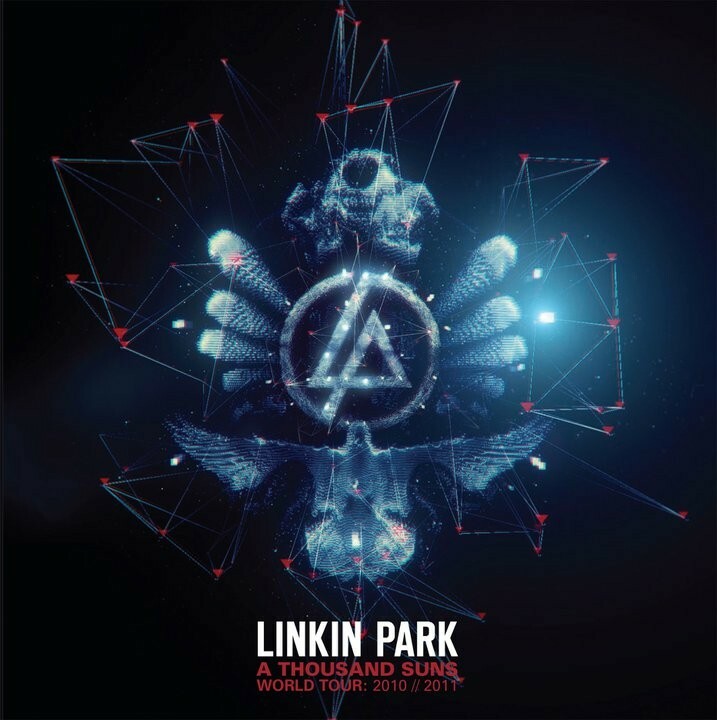 Just 2 hours earlier his band Linkin Park released three new video for “Talking To Myself”. 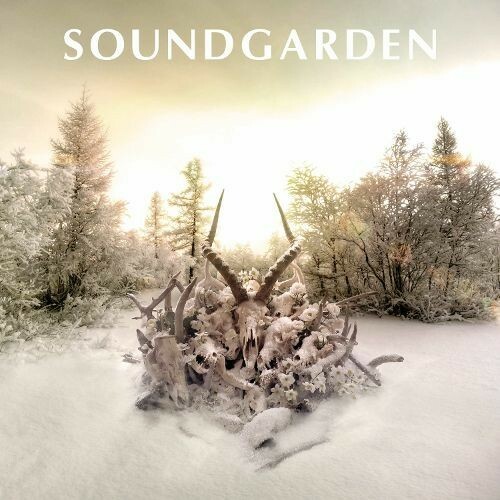 Read the lyrics and think about that for a second. 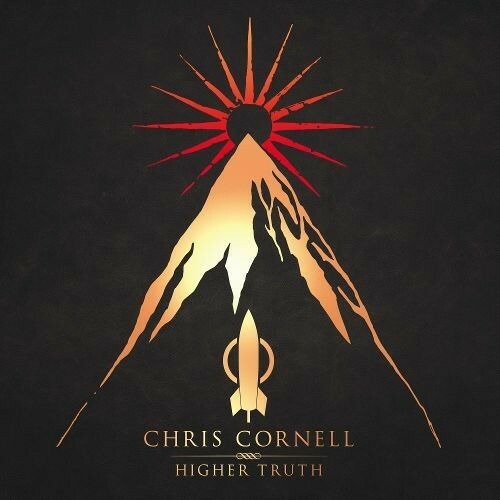 It just so happens he died on Chris Cornells birthday, July 20th, another musician who hung himself 63 days ago. 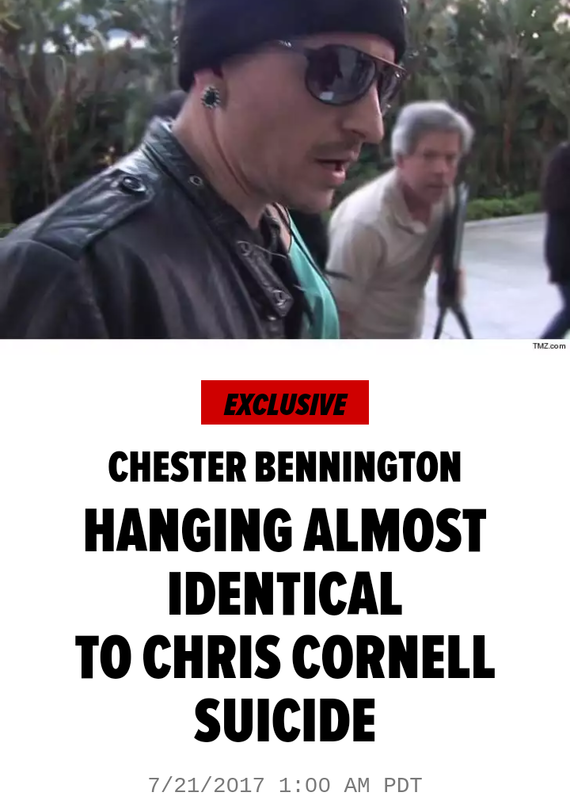 Update: And I just saw that he killed himself identical to how Chris Cornell died )http://m.tmz.com/?utm_medium=referral&utm_campaign=amp&utm_source=www.tmz.com-RelayMediaAMP#article/2017/07/21/chester-bennington-suicide-hanging-linkin-park-chris-cornell/). 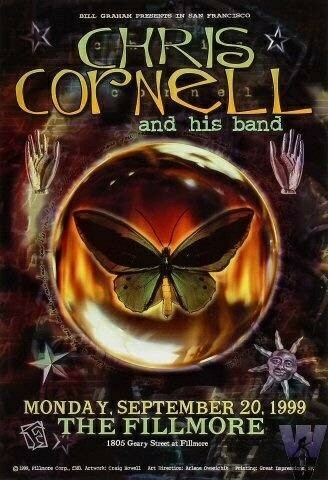 And Bennington was the godfather for Cornell’s kids. And coincidentally tomorrow (July 21st) is the birthday of another Hollywood “icon” who hung himself a few years back, Robin Williams. 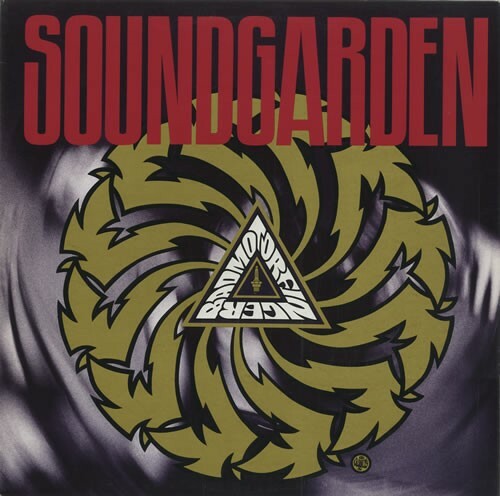 The death of Chris Cornell and Bennington was 63 days apart, which was also the age of Robin Williams at the time of his death. 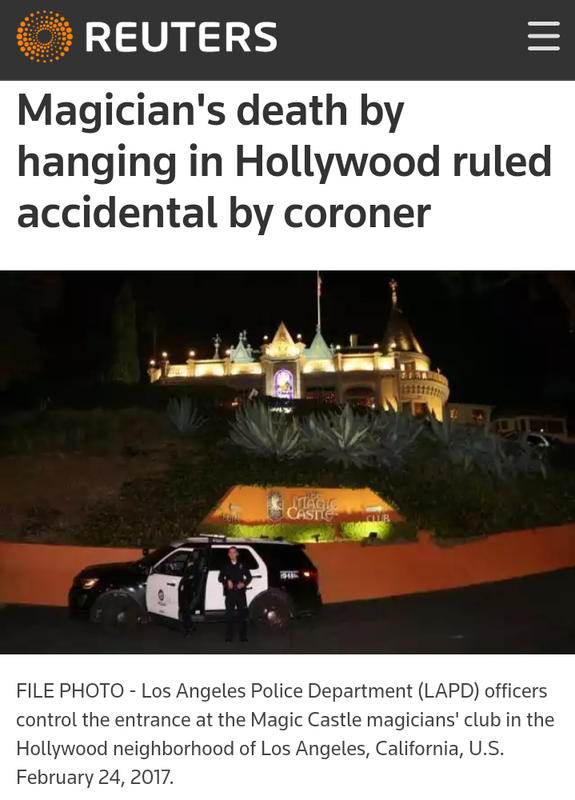 Now this will be the third hanging that made the public eye this year. 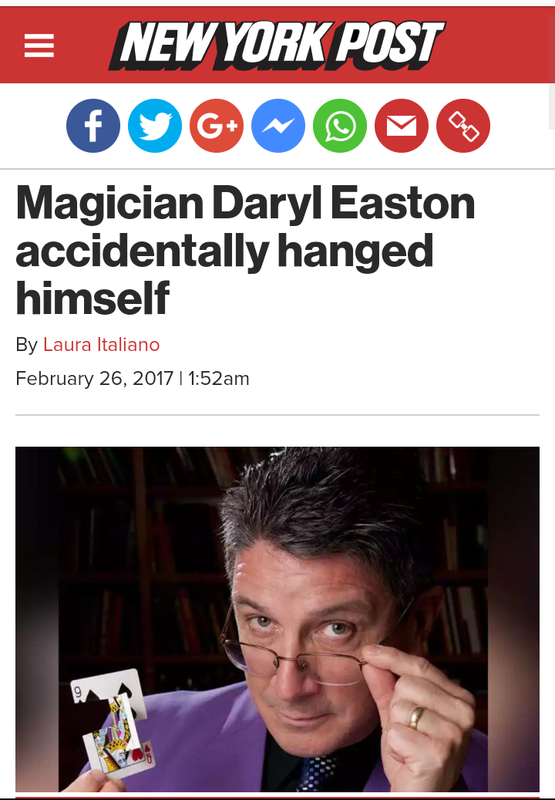 The first was with well known Magician Dave Easton who “accidentally” hung himself on February 24th in the “Magic Castle” in Hollywood. I talk about this story in an article I wrote about the three witches and the fat of a hanged man. 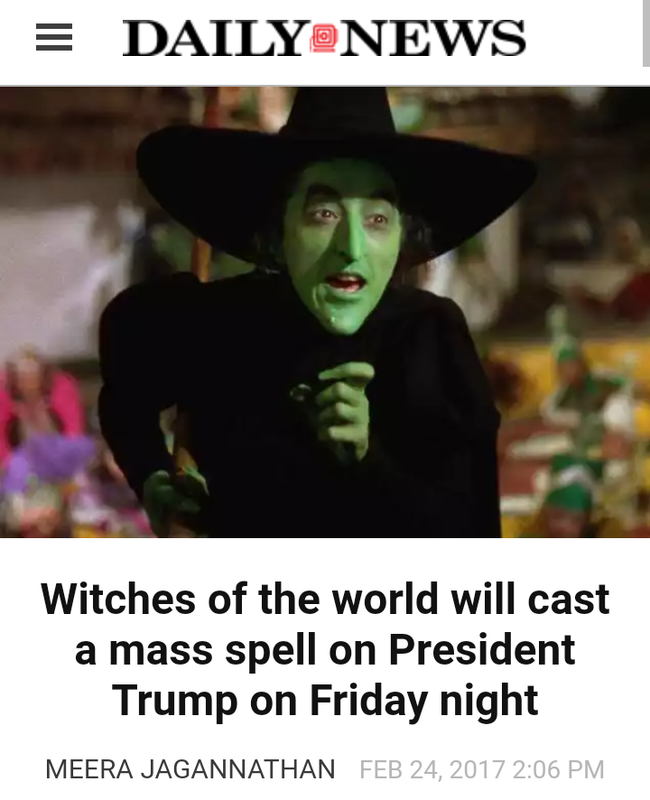 Now ironically, Easton’s hanging just happened to be the same night that the witches in America were casting spells on Trump for the first time. Read my article and see exactly why a witch needs the fat of a hanged man. I’m not saying that this is what happened with Easton, but sure does seem like a coincidence. 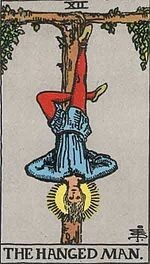 Now the hanged man comes from the XII card of a Tarot deck. It can trust sacrifice but read what Wikipedia says. 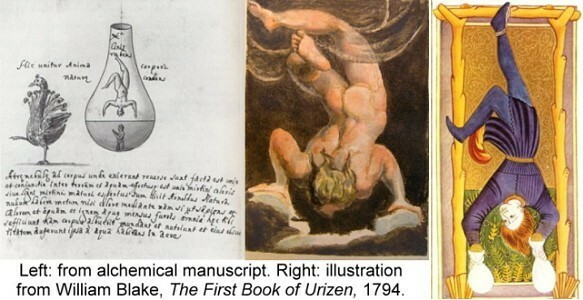 “It depicts a pittura infamante (pronounced [pitˈtuːra iɱfaˈmante]), an image of a man being hung upside-down by one ankle. This method of hanging was a common punishment at the time for traitors in Italy. However, the solemn expression on his face traditionally suggests that he is there by his own accord, and the card is meant to represent self-sacrifice more so than it does corporal punishment or criminality. 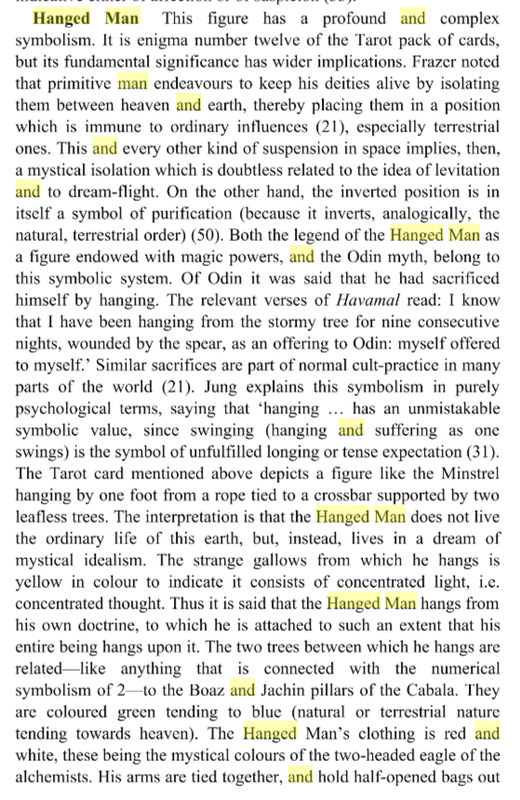 Now this hanged man can represent Odin which is another name for Apollo who is Osiris and Nimrod. This was his way of obtaining knowledge. 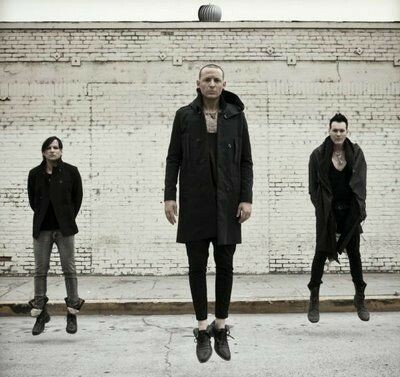 We also know that Judas the betrayer hung himself. Above it says it was a common form of punishment for traitors or could represent self sacrifice. UPDATE: One other thing I want to mention is the hanged man and the reference to a green tree. This is a mockery of the death of Jesus on the cross only upside down. Tradition says that Peter, who the Catholics believe to be the first Pope was also crucified upside down. I don’t know of that is exactly true. But I do know the Catholic church equates Peter or Pater the father to Jupiter. This is a complete mockery of Jesus, The Gospel and even the disciples. Now let something be known about this green tree. 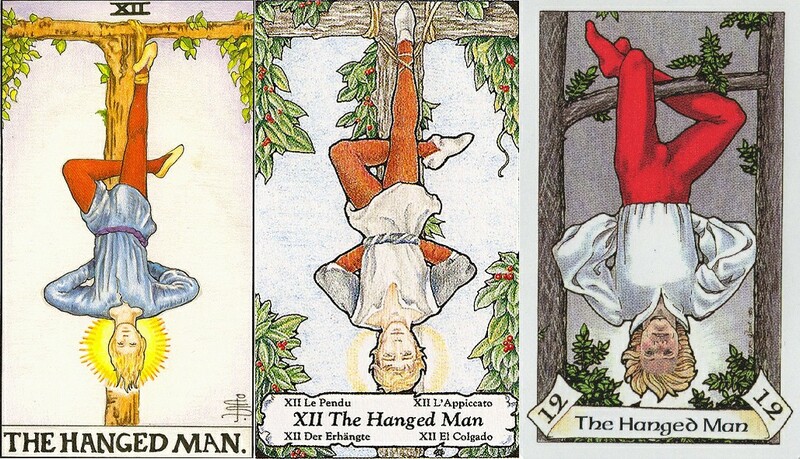 The Hanged Man had to be hung from a live green tree. 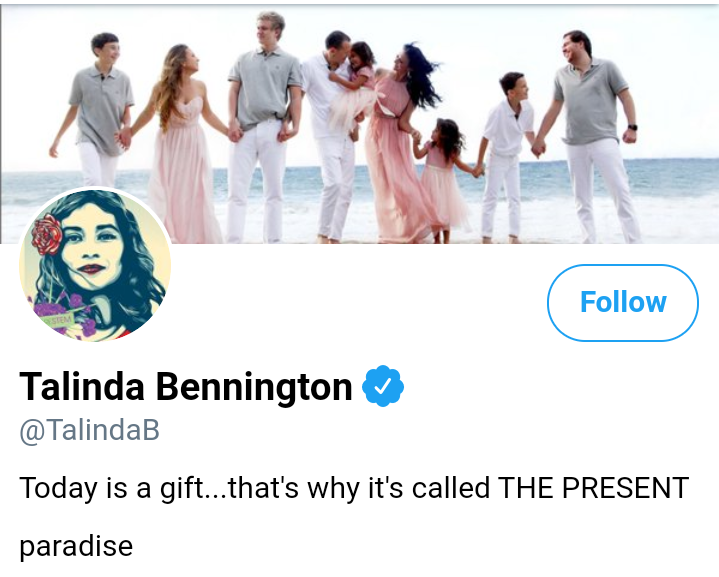 It just so happens that Bennington lived in Palos Verdes where he was also found in his home. 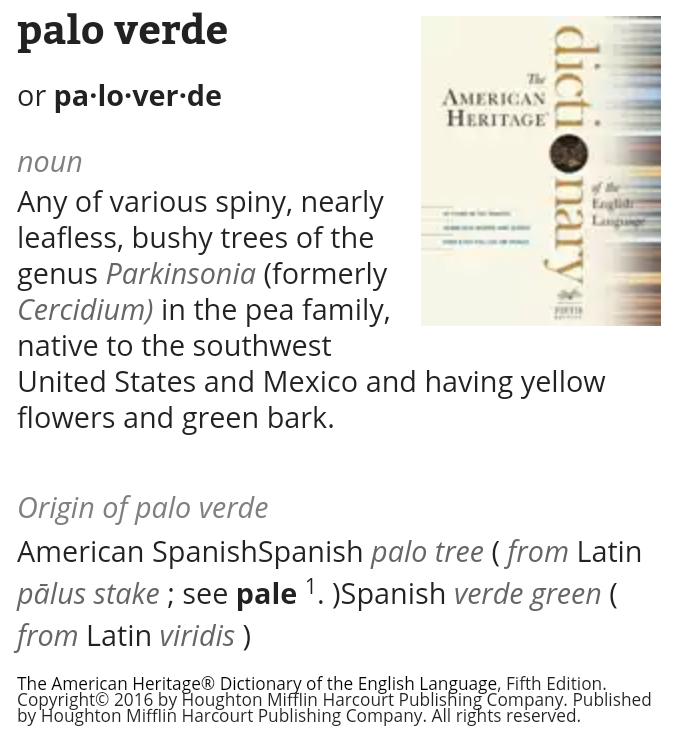 The meaning for Palos Verdes literally means “sticks green” or cam be interpreted as Green Tree. 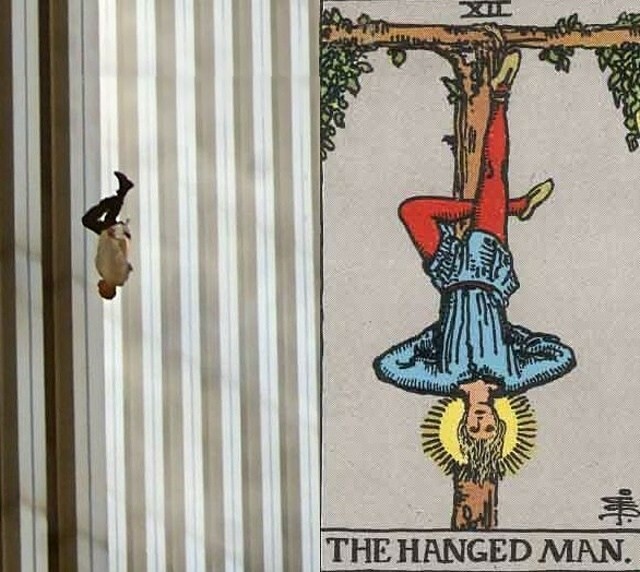 So there is another connection to this hanged man. Not only that, there is a connection to Jupiter with all of this. Perseus was the mythological god who was equated with the hanged man. 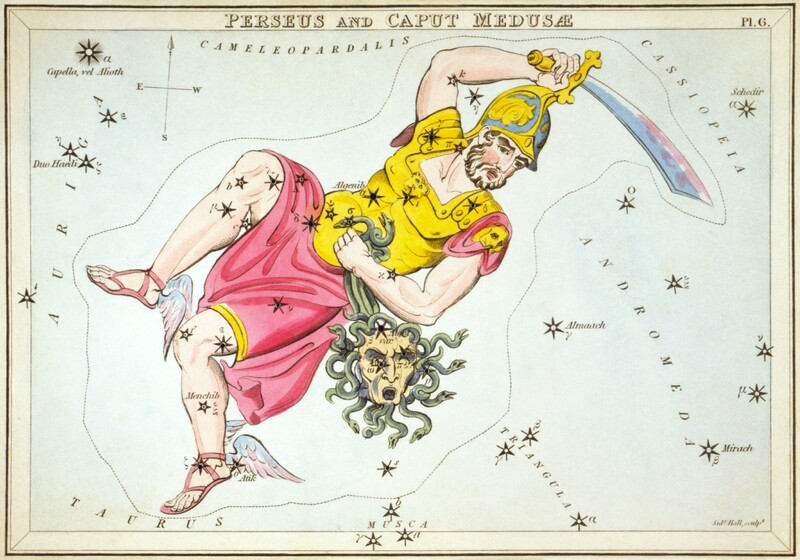 Perseus was the son of Zeus otherwise known as Jupiter. 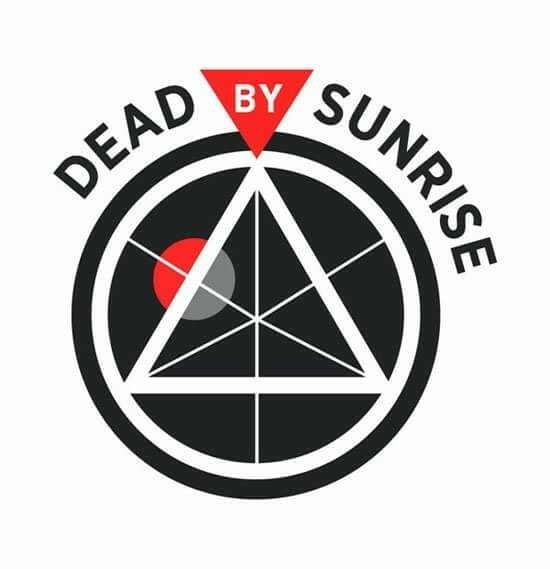 The videos on YouTube and articles on social media about whether these suicidal hangings were just that, a suicide or if they were ritualistic sacrifices will be everywhere. 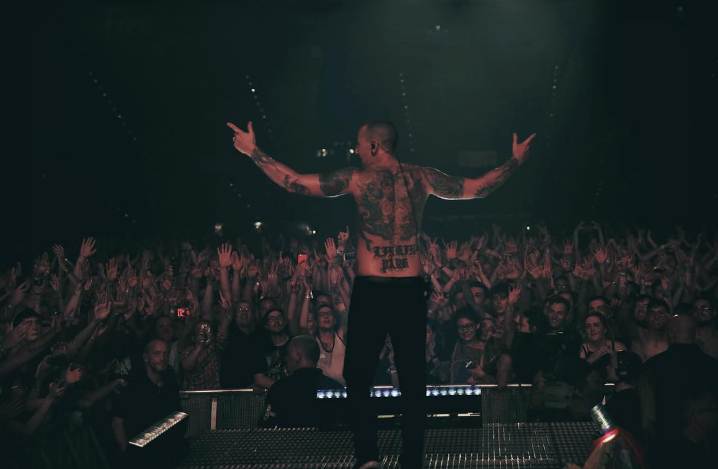 I can’t tell you if these were suicides or sacrifices but the fame that these guys got didn’t come with no strings attached. 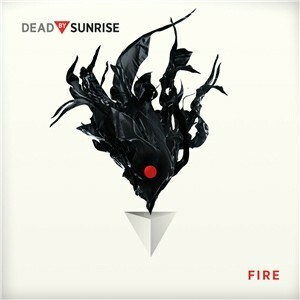 Whether it was a demonic manifestation that led to these or “help” from others will never be known. Whatever happened, happened for their god of this world, the resurrected Horus. But by the looks of their history’s nothing would surprise me. You can learn alot from their symbolism. 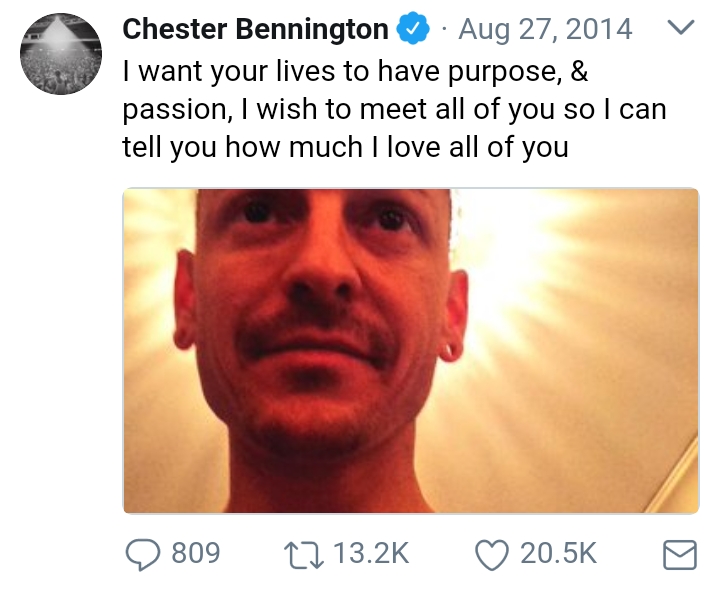 I do think Chester was wrong when he said “in the end it doesn’t really matter”. It always matters. The last picture of Bennington on Instagram. And one last hanging I should mention was a week ago. 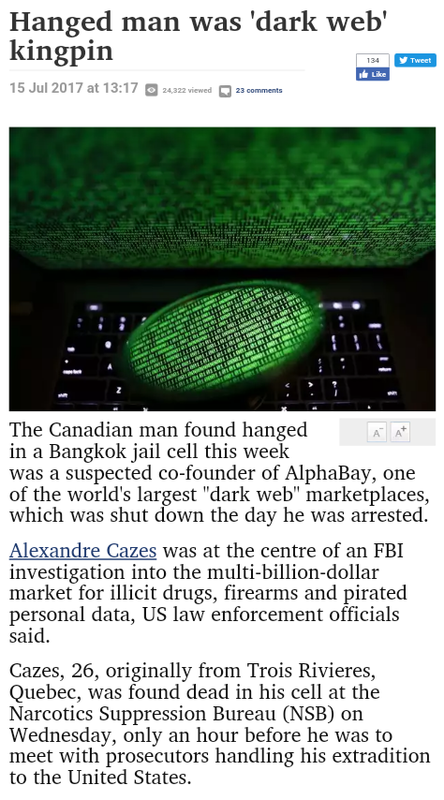 Alexandre Cazes who was the “fark web” kingpin was find hanged in his jail cell. 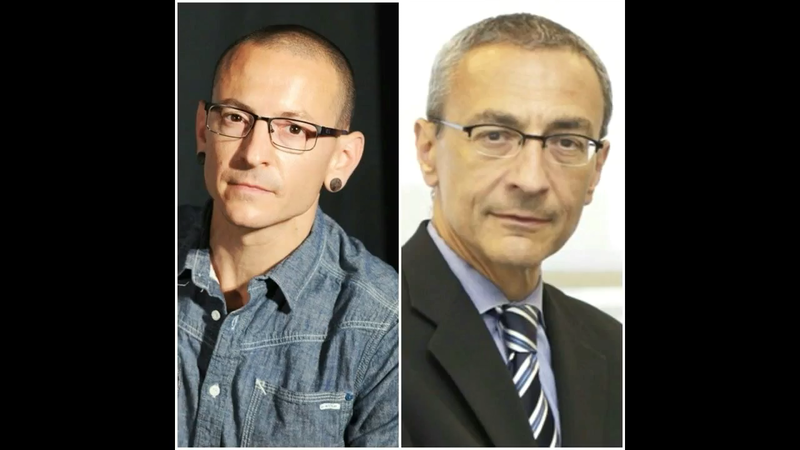 Related? Who knows, but its still interesting. 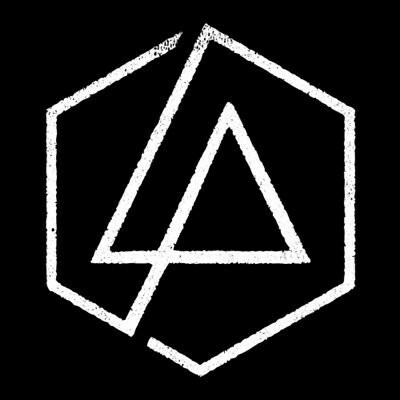 UPDATE: I started to look at a few things about this “suicide”. There is a lot of fishing disinformation going on all ready. 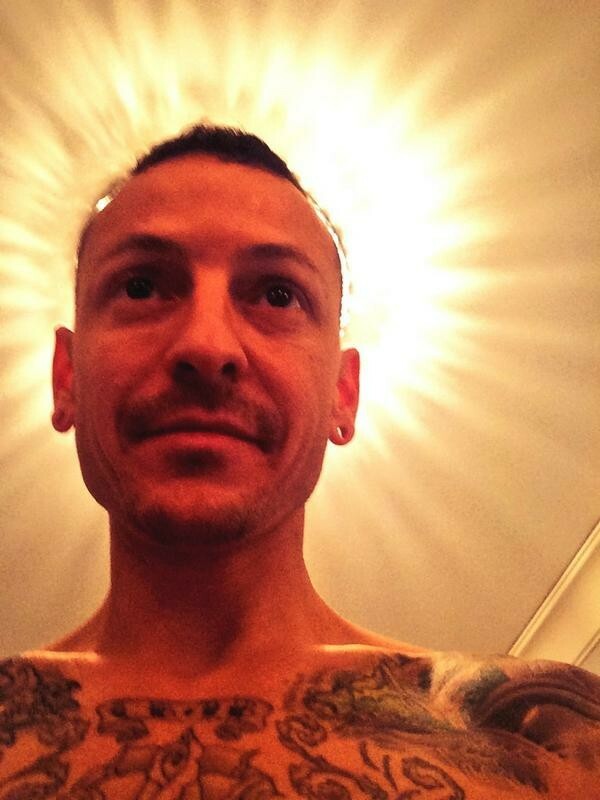 Like this picture below that claims that this was his last selfie. Its like they are giving him a god complex. This photo was actually taken in 2014. 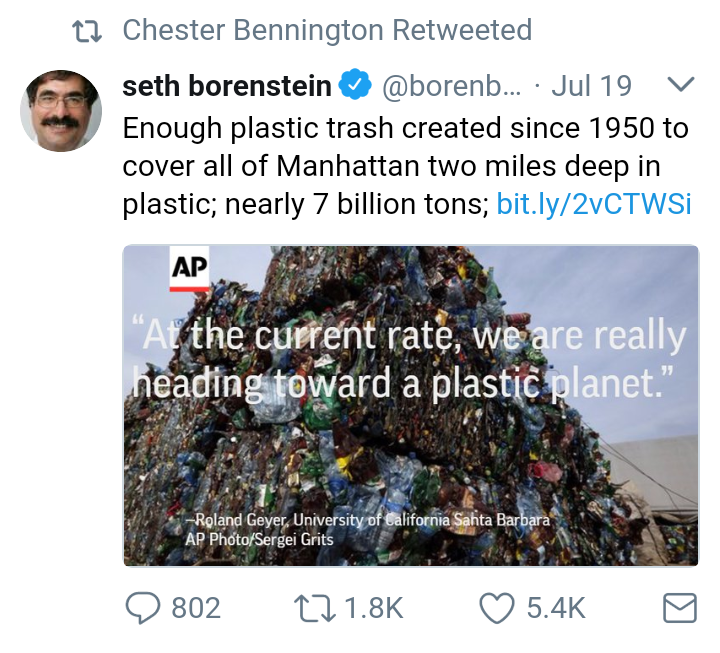 Below is a screenshot of his last tweet which was a retweet on the effects of plastic on the environment. 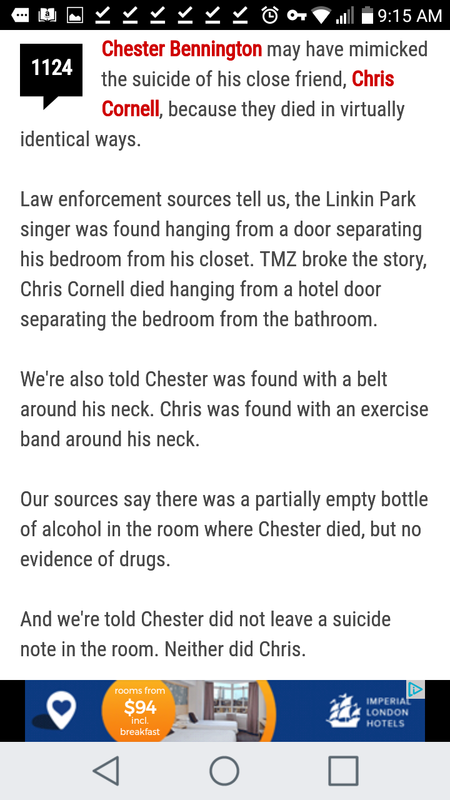 For someone who worried about things like this I highly doubt he was going to hang himself. I decided to look at his wife’s Twitter account and she had been retweeting a Christian artist named Lecrae. Here are some of here tweets. 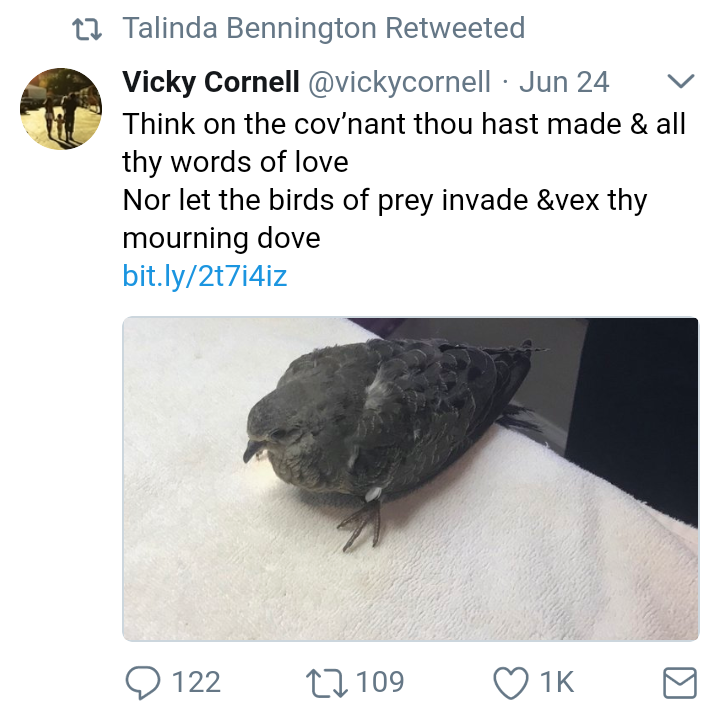 And here is a retweet of Chris Cornell’s wife. 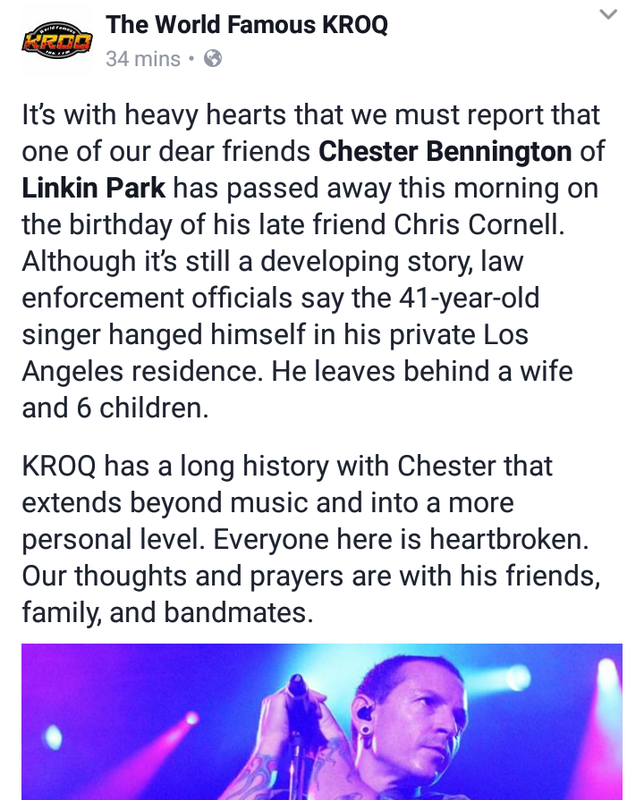 I’m wondering if Cornell and now Bennington were murdered by their handlers. 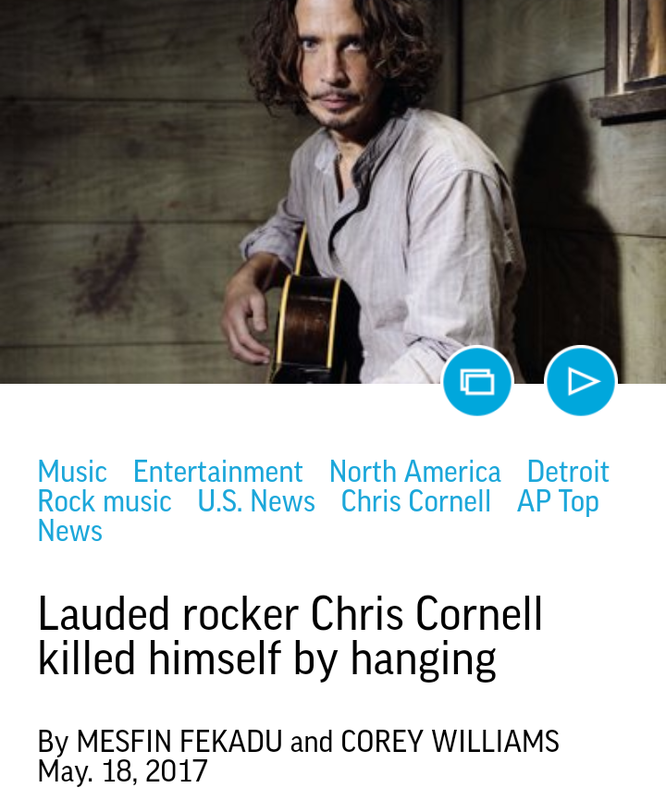 And if you remember that they are now saying he hung himself like Cornell. 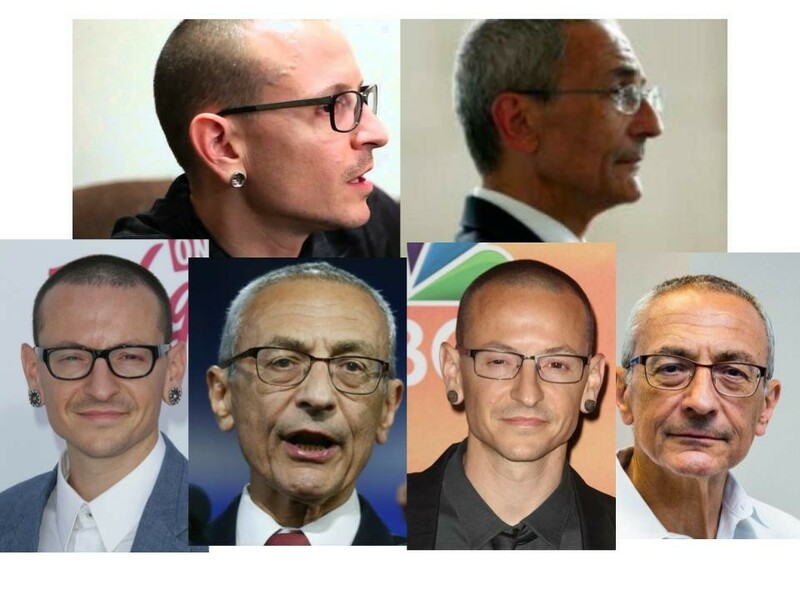 Identical is what they say. 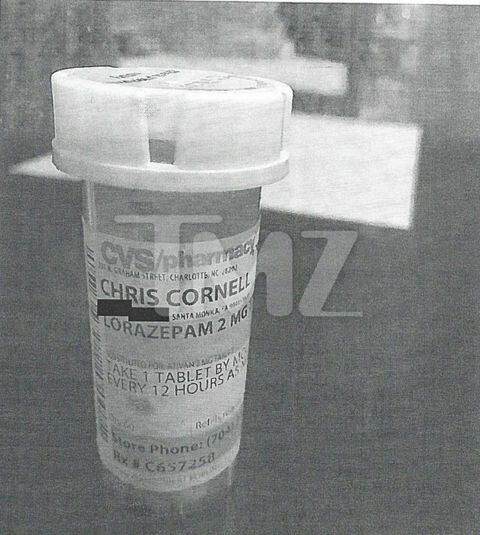 I can’t imagine a grown man would hang himself with the other resources out there that are at his disposal ie pills. Now look at Cornell’s hotel room and I’m guessing Chesters scene will lool close to the same. 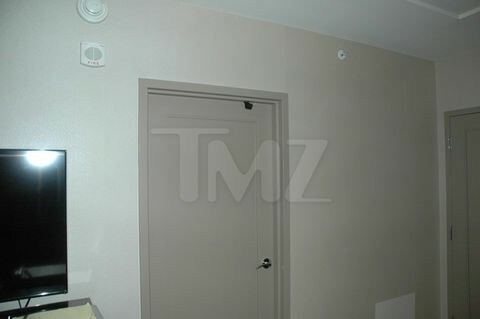 Notice that its on a door or lets just call it a “gateway”. Do you see what I’m saying? 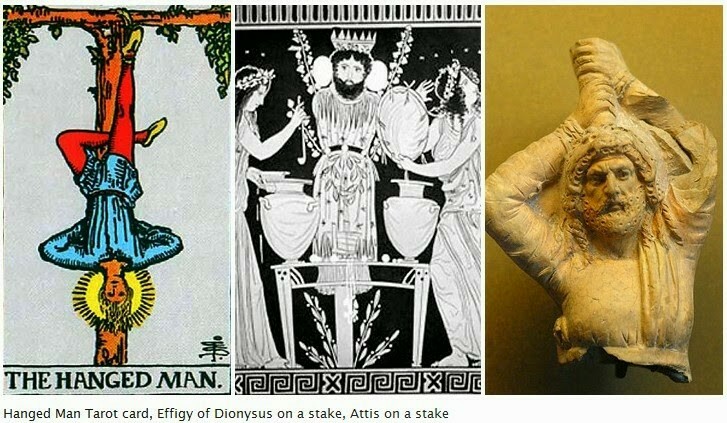 So are we seeing the sacrifices of the Sons of Jupiter by the Sons of Jupiter? It wouldn’t surprise me one bit. So this is interesting. 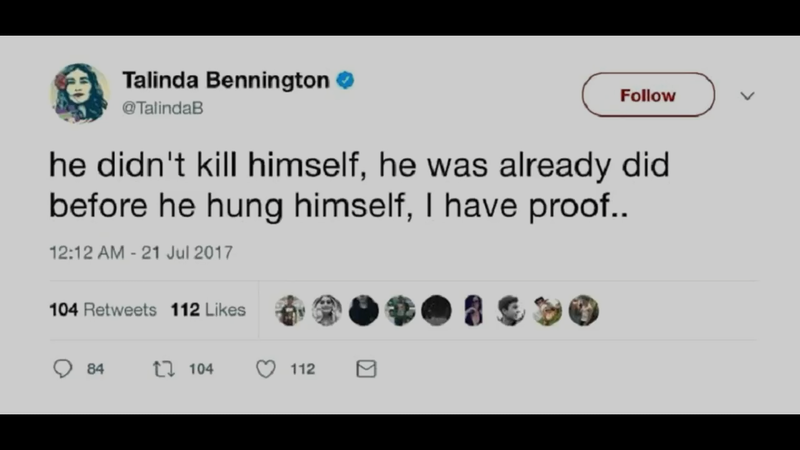 I had heard a few days after Benningtons death that he was on the verge of exposing some info that had to do with Pedogate. 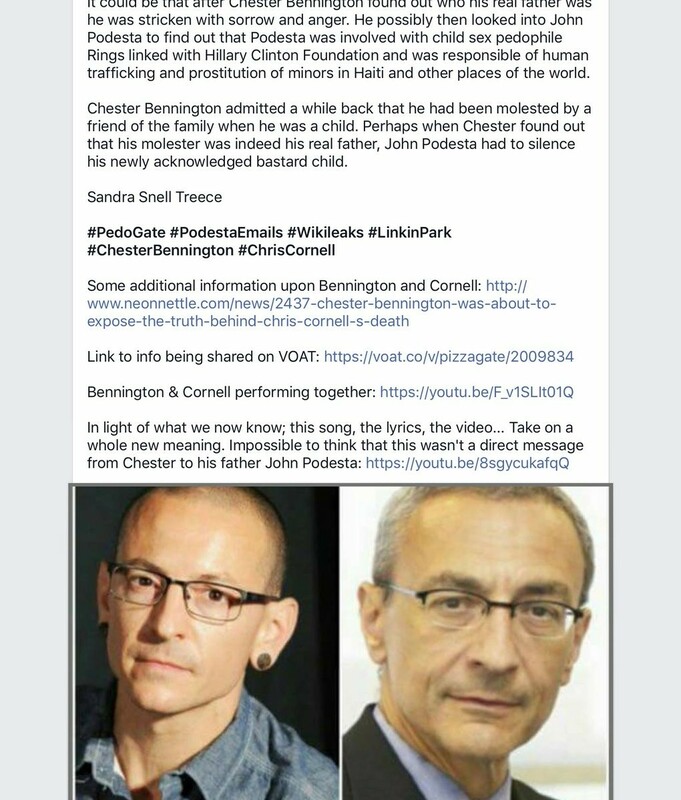 Allegedly Chris Cornell had info on Pizzagate and people are saying this is why he was killed or should I say committed suicide. 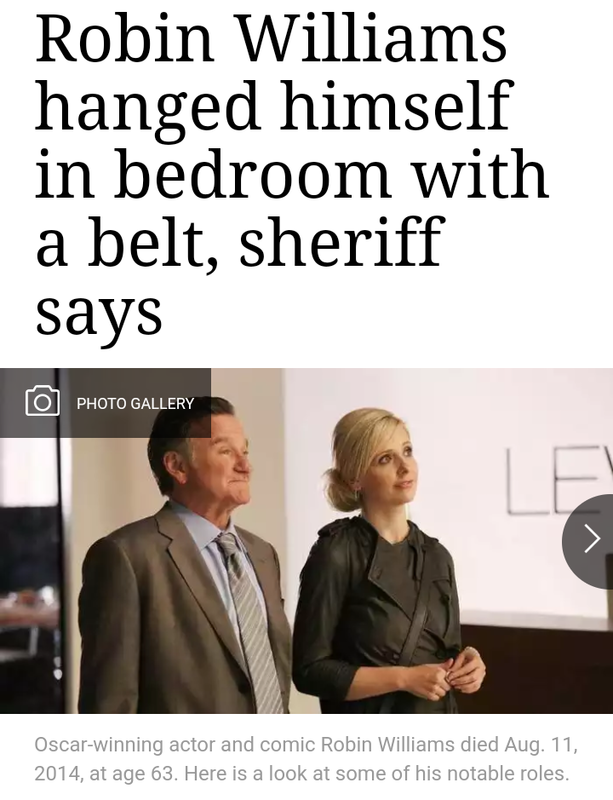 Remember, his wife denied that he killed himself at first. 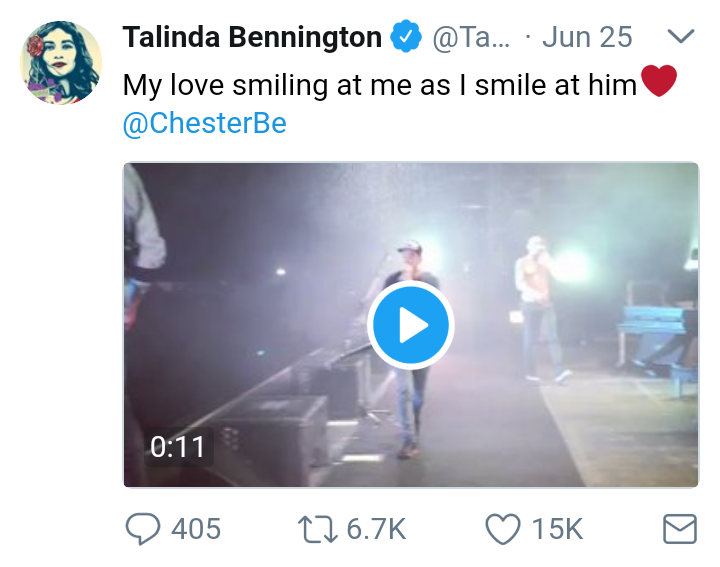 Well it looks like Benningtons wife is doing the same thing. Look at her tweet below that was taken down hours after it was put up. 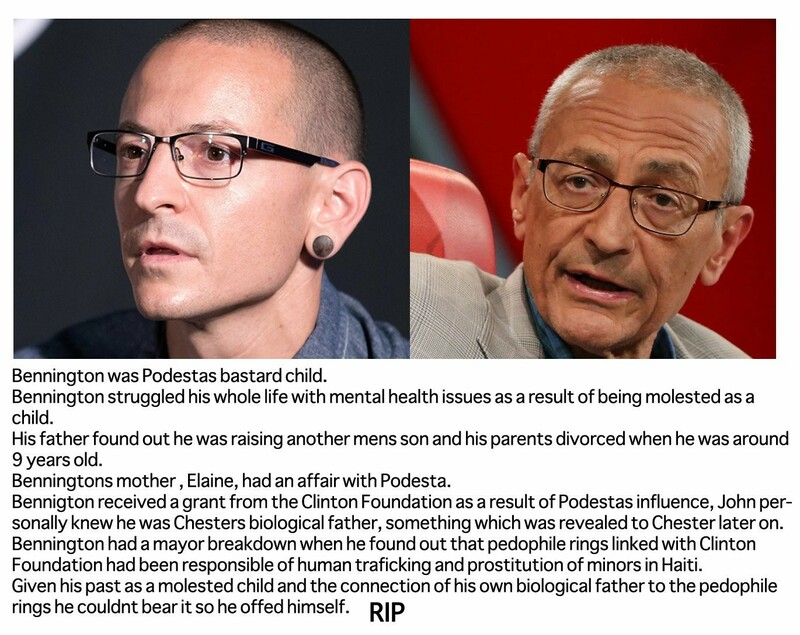 Then the theory comes out that Bennington is tied to John Podesta of pizzagate and that he is actually Podestas son. Its an interesting theory and I suggest you watch the video below. But look at these side by side pictures of these two. It is strange.